“Illinois Governor Pat Quinn signed a gun-control measure into law on Sunday that expands background checks to cover all firearms purchases in the state, closing what he said was a loophole that exempted gun sales between private parties. “On May 31, a three-judge panel of the U.S. Court of Appeals for the District of Columbia Circuit upheld the Obama administration policy that requires federally licensed firearms retailers in states bordering Mexico to report multiple sales of certain semi-automatic rifles. The case, National Shooting Sports Foundation v. Jones, was brought by two NRA-backed firearms retailers and the National Shooting Sports Foundation acting on behalf of its members in the Southwest. The requirement imposed by the Bureau of Alcohol, Tobacco, Firearms and Explosives forces all licensed firearm dealers in California, Arizona, New Mexico and Texas to report all sales of two or more semi-automatic rifles within five consecutive business days, if the rifles are larger than .22 caliber and use detachable magazines. In its decision, the panel argued that ATF’s use of “demand letters” to seek this information is legitimate, even though the law only allows ATF to issue letters demanding “information required to be kept” under the Gun Control Act—not information such as action type that is not “required to be kept.” The panel also held that the reporting requirement is “limited,” even though it applies to every licensed firearm retailer in four large states. “The next-generation PMAG 40 GEN M3 is a 40-round 5.56×45 NATO (.223 Remington) polymer magazine for AR15/M4 compatible weapons. Along with expanded feature set and compatibility, the GEN M3 incorporates new material technology and manufacturing processes for enhanced strength, durability, and reliability to exceed rigorous military performance specifications. 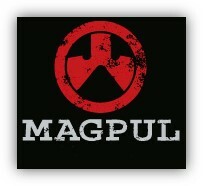 Magpul Industries Corp announced today that it has filed patent infringement lawsuits against four companies for offering for sale, selling, and distributing magazines for AR15/M16 compatible weapons in violation of Magpul’s patents. The company’s lawsuits allege infringement of Utility Pat. No. 8,069,601 for a novel ammunition magazine, in addition to numerous Magpul design patents. 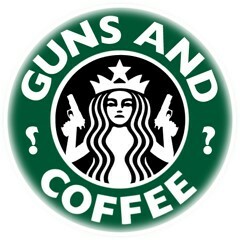 Starbucks: Bring Your Gun To Starbucks Day! Today is Bring your gun to Starbucks Day as put together by a firearm advocacy group which has more than 234,000 likes and setup as a public event on July 29. More than 3,000 plan to attend. Thought it was interesting as both of my sisters texted me earlier this morning to let me know so it peaked my interest enough to go out there and see what it was all about. Here is the full article in case you are interested. Five-year concealed carry permits will be issued to Illinois residents at least 21 years of age with a valid FOID card 90 days after a qualified application is submitted. Illinois will not recognize carry licenses or permits from other states at this time; however, non-resident Illinois Concealed Carry Licenses will be available with an increased fee of $300 if the interested applicant’s state’s concealed carry license laws are “substantially similar” to Illinois’. Illinois State Police must first establish which elements of other state’s permits meet the “substantially similar” requirement. 2 or more violations related to driving while under the influence of alcohol, other drug or drugs, intoxicating compound or compounds, or any combination thereof, within the last 5 years. A misdemeanor involving the use or threat of physical force or violence to any person within the last 5 years. Applicant is the subject of a pending arrest warrant, prosecution, or proceeding for an offense or action that could lead to disqualification. Applicant has been in a residential or court-ordered treatment for alcoholism, alcohol detoxification, or drug treatment within the last 5 years. Any law enforcement agency may object to the issuance of a license to an otherwise qualified applicant on the basis of reasonable suspicion that the applicant presents a danger to self or others or is a threat to public safety. Such an objection sends the application for review by the Concealed Carry Licensing Board, which consists of a total of 7 judicial, law enforcement, and mental health professionals appointed by the Governor. The Board generally will issue a decision in 30 days as to whether it has determined, by a preponderance of the evidence, if the applicant is eligible or ineligible for a license. HB 183 mandates that the Illinois State Police begin approval of certified firearms instructors and firearm training courses within 60 days of enactment. At that time, ISP will provide a registry of instructors and approved classes. The language of HB 183 contains comprehensive preemption of handgun and handgun ammunition-related local ordinances for anyone with a valid FOID card, and preemption of “assault weapon” bans enacted by July 19th (see here for more information). Regulation of laws relating to the concealed carrying of handguns is now reserved to the state. Illinois law now contains increased protection for those who are traveling with firearms, since the preemption of local firearms ordinances applies to all individuals with a valid FOID card who are transporting firearms in compliance with all state regulations. A personal vehicle is also a safe haven for transport of firearms by non-Illinois residents not otherwise prohibited from possession. In addition to the safe harbor found in one’s vehicle, licensees who wish to store their firearm in the trunk of their vehicle while visiting an otherwise prohibited location may exit their vehicle while in the parking lot in possession of the firearm for the purposes of storing it in the trunk. They may also store the firearm in the passenger compartment of their vehicle in some sort of container as long as either the vehicle or container is locked and the firearm remains out of plain view. So my fellow blogging readers, I have let you down! I have been a total slacker lately even though I have been doing a ton of cool stuff that revolves around my blog. I had an avid reader an personal friend remind me of that several times in the past couple weeks and I’m going to try and get back on track and back to releasing all that quality content you so desire. Stay tuned there is some good stuff coming down the pipeline.